White Belly Pizza, Sons of Essex, and so many more. 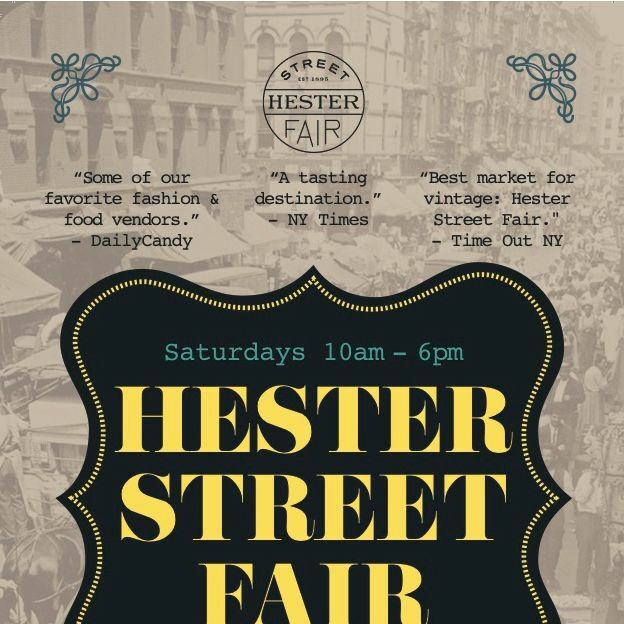 The Hester Street Fair is back for its third season on Saturday*, with more rock-star food vendors than ever, from 10 a.m. to 6 p.m. With more than a third of the market dedicated exclusively to food — like classic HSF breakout stars Luke’s Lobster and La Sonrisa, and newbies such as Pies ‘n Thighs and We Rub You — the fair is pretty much the optimal outdoor eating event (and there are many). Opening day will also get down with a special D.J. set from Bubbles (“New York’s feel-good synth-pop band!”). See a full list of participating food vendors here! *This posted has been corrected to show that the season begins Saturday, not Sunday.